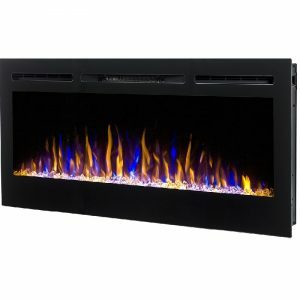 The Latitude 55-Inch Electric Fireplace easily commands the attention of anyone who sees its large size and captivating flame effects. 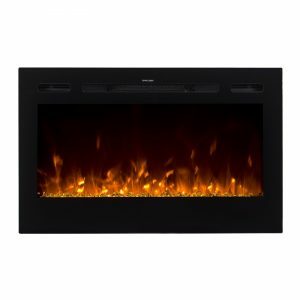 Ideal for both residential and commercial applications, this elegant fireplace can be fully recessed into a wall depending on the needs of your space and preferred design aesthetic. Furthermore, the unit comes hard-wire ready and requires minimal skill and effort to create a truly seamless and clean installation. As soon as you turn the unit on you’ll be inspired and amazed by the bright, LED flame effects that expertly mimic the motion and appearance of a dancing gas flame. 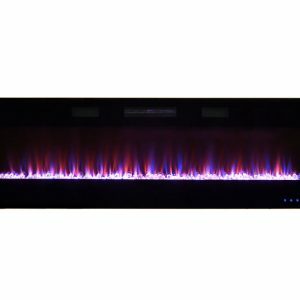 The 3 color, true flame technology utilizes orange, pink and blue lighting and offers brightness settings to accommodate various interpretive lighting displays. Ambient back light options can also be activated to produce soothing variances of red, yellow and blue to fill your room with a calming comfort that ties everything together nicely. Keep your guests toasty warm and feeling well taken care of by turning on the powerful, front vented supplemental heater. 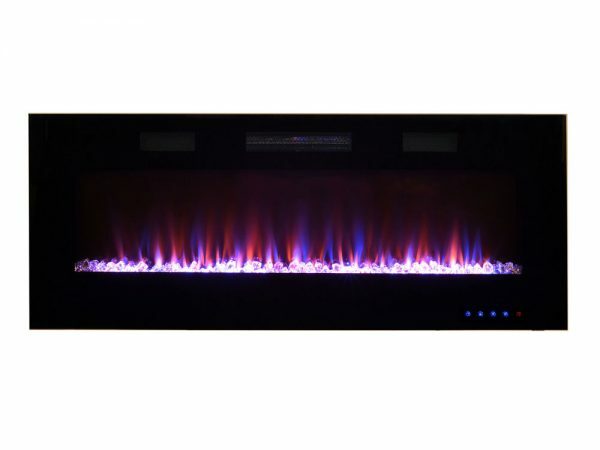 The unit is capable of producing 5000 BTUs of gentle warmth to take the chill out of spaces up to 400 Sq. Ft. in size. For convenient operation, the heater features High/Low settings. 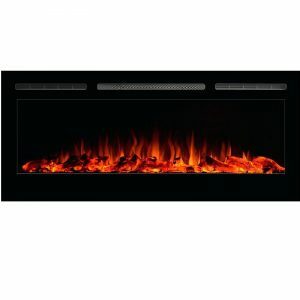 Additionally, a multi-function remote control is included and makes it easy to operate the flames, heater, ambient lighting and on/off timer.